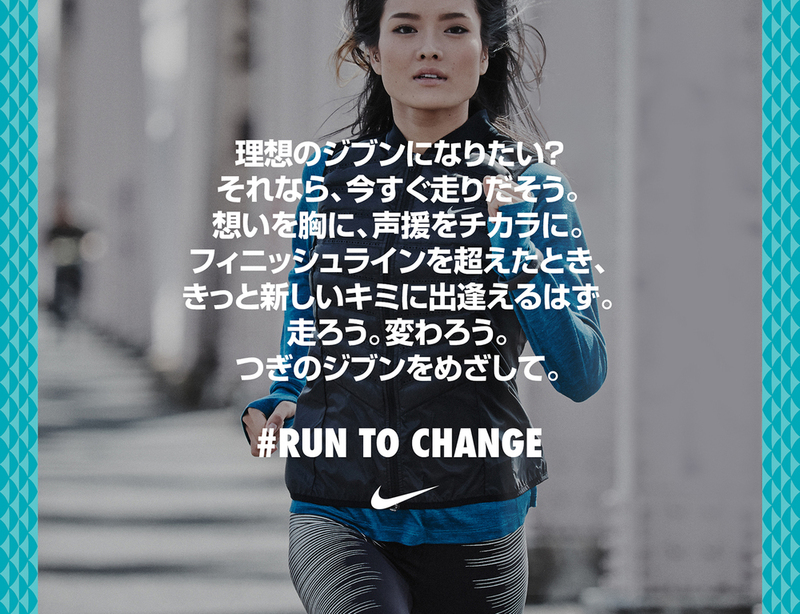 Nike want to inspire female athletes* in Japan and to help them train better for the Nagoya Women's Marathon, one of the world's biggest women's marathon. 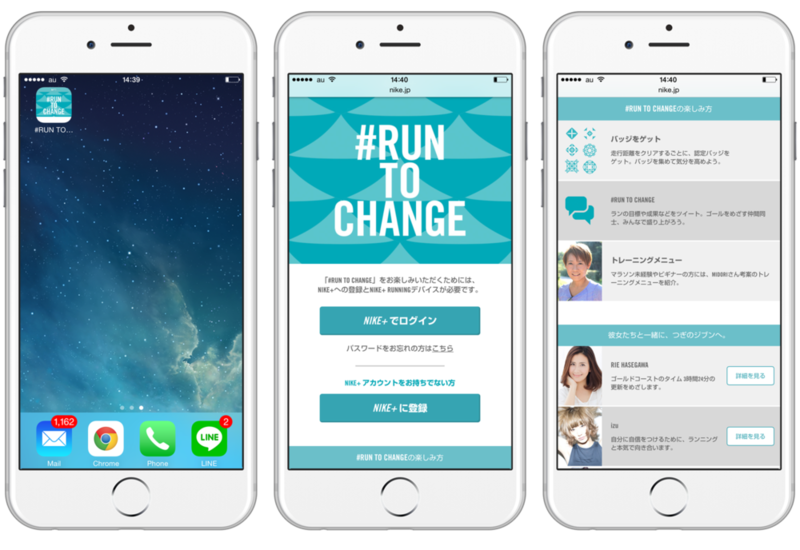 With the virtual marathon app, participants are able to access personal training tips from Nike's trainers and track their daily progress in a fun and interactive way. Users' training progress are reflected on their dashboard as unique flower shapes composed of the shapes of the roof tiles of the Nagoya castle. Art Direction: Worked closely with Nike Global banding team to develop region specific graphics and branding for Nike Japan. 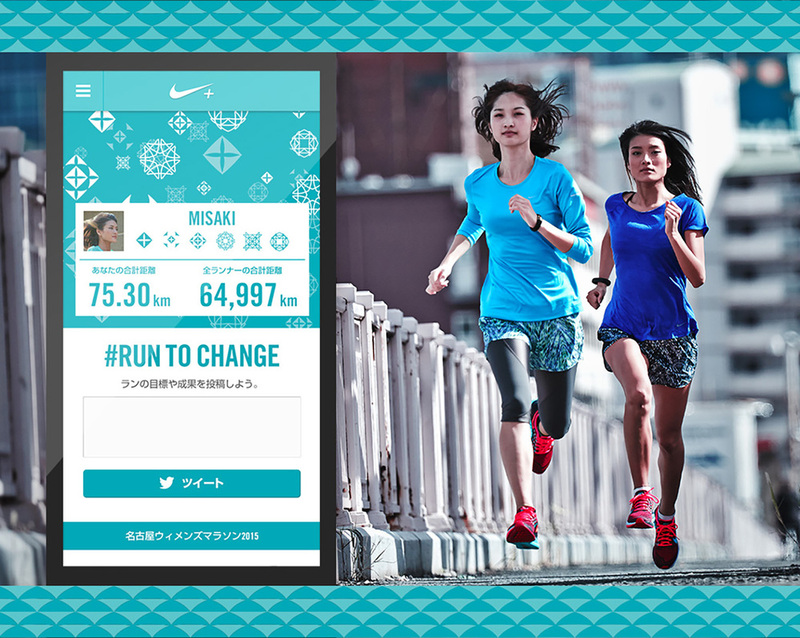 The graphic systems was adopted throughout the 2015 Nike Nagoya Women Marathon event.